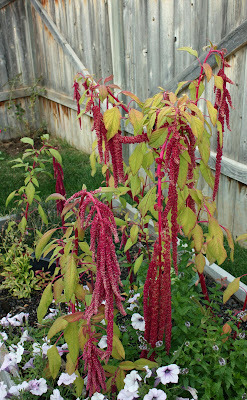 Amaranthus "Love Lies Bleeding." The dreadlocks of flowers are starting to fade. I'll clip some for flower arrangements, and leave the rest for winter birds, and for re-seeding, which this plant does liberally.